What is the function of “surgical” in surgical strike? Because, as every true-blooded patriot knows, a surgical strike is, of course, good, but it is also fundamentally different from, say, a “cross-border raid”, let alone “infiltration”. Those are things that the baddies do. We, on the other hand, do surgical strikes. Part of the appeal of a “surgical strike” — the phrase derives, of course, from US military jargon, where it serves similar, but not identical purposes — is that it implies “precision”. After all, a surgeon is not a butcher slashing about with a cleaver — actually, even a butcher is not a butcher! — but “surgeons” use “smart” instruments, scalpel-like, and if once in a while they encounter a wedding party, or, with macabre economy as recently in Yemen, a funeral, well, the damage is unintentional — and always deeply, sincerely, regretted — but it is, after all, merely “collateral damage”. In fact, our flattery-by-imitation of US military machismo goes further. So the surgical strikes are directed at “launch pads”, whence come not rockets or missiles but — alas, this is, after all, South Asia — desperate “militants”, barely scraping a meagre living and almost certainly, remembering Manto, destined for a dog’s death, caught in the crossfire between two great military machines. But the great advantage of redefining military action as surgery is that it puts the implicit and necessary and entirely intentional violence beyond the pale of moral consideration. After all, one can hardly accuse a surgeon of causing injury, shedding blood. Too bad for the poor collaterals, as thousands have discovered in the theatres where the armies of the good strike, but always surgically. Look at Iraq, at Libya, Syria, Yemen — surgery has made great advances. Amid the battles, a generation starves. The conflict is tearing Yemeni society apart. Since the war began in March 2015 I have travelled more than 2,500 miles across Yemen, criss-crossing the front lines in and out of territories controlled by Houthi rebels, or by their opponents, the Saudi-backed resistance forces, or through vast stretches of land held by al-Qaeda. On those journeys, what struck me most was the deepening resentment expressed by so many people towards their fellow Yemenis. The object of that loathing can change in the space of a few hundred metres. The soundtrack to this hatred emanates from smartphones resting on rusting oil drums, protruding from the breast pockets of military fatigues, or lying on chairs under makeshift awnings where flags denote the beginning of the dead ground of no-man’s-land. The rabble-rousing propaganda songs preach to the watchful gunmen about a feeble and irreligious enemy backed by foreign powers. Down the road, an almost identical scene awaits, only the flag is different and the song, though echoing the same sentiment, chants of an opponent altogether different from the one decried barely out of earshot in the dust behind you. This promotion of hatred, creating what are likely to be irreversible divisions, is necessary for the war’s belligerents in order to incite tens of thousands to fight. It is essential to perpetuate the cycle of revenge. More than 25 years after the two states of North and South Yemen united, the gulf between them has never been wider. The political south, now controlled by forces aligned with the Saudi-led coalition, is logistically as well as politically severed from the north-western territories under the command of the Houthi rebels and Saleh loyalists. Caught in the middle is the city of Taiz, which is steadily being reduced to rubble after a year-long siege imposed by the Houthi-Saleh forces. Revenge nourishes the violence, but it cannot feed those who are dying from malnutrition. Among the other statistics are the missing millions needed by the state – the country’s largest employer. Workers haven’t been paid in months, amid fears of an economic collapse. This is apparently a deliberate tactic of fiscal strangulation by the Saudi-backed Yemeni government-in-exile. The recent relocation of the central bank from the Houthi-controlled capital, Sana’a, to the southern city of Aden is so far proving symbolic, given that the institution remains devoid of funds. The workforce on both sides of the conflict has taken to the streets to protest against salaries being overdue. Insecurity makes access to some of Yemen’s malnutrition hotspots a challenge. WFP has provided food for more than three million people every month since February 2016. However, in recent months, WFP split rations to reach six million people every month with a smaller quantity of food, as needs are increasing and resources are diminishing. WFP aims to treat and help prevent malnutrition among some 700,000 children under five, pregnant women and nursing mothers. “An entire generation could be crippled by hunger,” said WFP Country Director in Yemen Torben Due. Al-Hudaydah’s war legacy continues today. Because of the current war, it is now suffering one of the most severe humanitarian crises in Yemen. The fact that it is situated on the Red Sea, adjacent to Eritrea, gives the port very high geostrategic value. Its waterway also leads directly northwards towards the Saudi border, which is just over 200km away. Having a direct Houthi presence in Al-Hudaydah – especially when at that time the port was the second largest port in Yemen – was a great cause of concern for the Saudis. The fact that Iranian vessels have been caught at the port withweapons that were suspected for the Houthis in the pastfed on Saudi’s reservations about the Houthi takeover of Al-Hudaydah. Therefore, when the Saudi-led coalition began their intervention in March 2015, Al-Hudaydah became subject to immense airstrikes that have completely shattered its civilian infrastructure. By August 2015, the Al-Hudaydah port was severely damaged and by October 2015, the port was officially closed. According to UNICEF, almost 100,000 children are starving in Al-Hudaydah right now, compared to 23,000 children before the war began in March last year. On average, fishing has decreased in Al-Hudaydah by 75 per cent since the start of the war and food prices in Yemen have seen a median increase of 60 per cent, meaning it is just as hard to acquire food with subsistence means as it is to buy food. The overall number of children starving in Yemen is estimated to be 370,000, meaning just under a third of the children that are starving in Yemen are living in Al-Hudaydah. Over the summer, hospitals in Al-Hudaydah reported a spike in the number of deaths from heat related illnesses due to a heatwave in June. Because at the time there was no electricity for air conditioning and for fridges, those who were able to afford food weren’t able to store it. If it wasn’t starvation that killed someone, it was the heat. “These children are [ten times more likely] to die…compared to their healthy peers if not treated [in] time,” Mohammed Al-Asaadi, a Yemeni journalist who is working as a communication and media specialist for UNICEF, told me. “We [UNICEF] have expanded our operations in Al-Hudaydah to cover all the 399 health facilities in all of Al-Hudaydah’s districts. We have also deployed mobile teams to provide basic health and nutrition services to children and mothers,” he explains. it must not be forgotten that there are only two things that can permanently end the suffering of these children: justice and peace. Comment: Strange reasoning for the Saudi interference and bombing. Apart from that, a sound article anyway. Dozens of emaciated men, women and children are fighting for their lives in#Yemen’s hospital wards (when lucky to reach one and having the money to be cured) or forgotten on a family bed, as fears grow that the war and a sea-land-air blockade that has lasted for a year and a half are creating famine conditions in the Arabian peninsula’s poorest country. A sea blockade on #Hudaida area enforced by the #Saudi-coalition backed by#US supporting the president in exile, Abd Rabbuh Mansur Hadi, stops shipments reaching the port and shores of Yemen. The crisis has worsened after Hadi ordered changes at the Central Bank relocating it to Aden. Aimed at squeezing the funds of Saleh/Houthi rebels, the move has already left Yemenis short of cash and made food shortages worse by depriving traders of the financial cover for their operations. In simple words: there is no way of importing both financially and logistically. Es gibt Fotos, die anklagender sind als jedes Kriegsverbrechertribunal! Das Bild, das ein fast bis auf die Knochen abgemagertes Mädchen namens Saida Ahmad Baghili im Krankenhaus der Hafenstadt Hudaydah im Jemen zeigt, gehört dazu. Es wurde von einem Fotografen der Nachrichtenagentur Reuters aufgenommen. Über das Mädchen ist nicht mehr bekannt als ihr Alter: 18 Jahre. Rund 2,1 Millionen Menschen – unter ihnen 1,3 Millionen Kinder – sind akut unterernährt. Von der Nahrungsmittelkrise sind 14,1 Millionen Jemeniten betroffen. Das sind 51 Prozent der Einwohner. HORRIFYING images have emerged of a malnourished teenage girl in the city of Houdieda, Yemen. 18-year-old Saida Ahmad Baghili, is currently receiving treatment for severe acute malnutrition at al-Thawra Hospital in the Red Sea port city. According to the World Food Programme, more than half of Yemen’s population – 28 million peple – are short of food, with the country on the brink of famine according to the United Nations. Meanwhile as of August, at least 370,000 children were suffering from severe acute malnutrition, like Saida – and 3 million Yemenis need urgent nutrition assistance. The emaciated frame of 18-year-old Saida Ahmad Baghili lies on a hospital bed in the red sea port city of Hodaida, her suffering stark evidence of the malnutrition spread by Yemen's 19-month civil war. Baghili arrived at the Al Thawra hospital on Saturday. She is bed-ridden and unable to eat, surviving on a diet of juice, milk and tea, medical staff and a relative said. "The problem is malnutrition due to (her) financial situation and the current (war) situation at this time," Asma Al Bhaiji, a nurse at the hospital, told Reuters on Tuesday. Baghili is from the small village of Shajn, about 100 km (60 miles) southwest of the city of Hodaida, and used to work with sheep before developing signs of malnutrition five years ago, according to her aunt, Saida Ali Baghili. "She was fine. She was in good health. There was nothing wrong with her. And then she got sick," Ali Baghili told Reuters. "She has been sick for five years. She can’t eat. She says her throat hurts." After the war began, Baghili's condition deteriorated with her family lacking the money for treatment. She lost more weight and in the last two months developed diarrhoea. Comment by Judith Brown: Via Ali Al Hazari - who points out that if anyone said that UK and USA are helping to starve Yemeni children to death in 2016 they would not believe it, but this is what is happening. On 6 October 2016, Yemen’s Ministry of Public Health and Population (MoPHP) officially confirmed a cholera outbreak in the country. The situation is particularly serious given the collapse of the health system – with 54 per cent of health facilities not functioning or partially functioning1 - poor sanitation services and practices, as well as the deteriorated nutrition situation, posing an additional health risk to the population, particularly children. As of 23 October, 644 suspected cases had been reported. According to the MoPHP by 23 October the number of confirmed cases has risen to 31, of which five children are under 5 years, six are between 5 and 10 years, and four cases are children from 10 to 15 years.2 Cholera cases have been confirmed in Amanat Al Asimah (12), Aden (9), Lahj (1), Al Bayda (4), Sana’a (4) and Hajjah (1) governorates. According to preliminary reports from local authorities, 32 deaths related to Acute Watery Diarrhoea have been reported in Taizz (4), Al Hudaydah (8), Aden (8), Lahj (8), Al Bayda (2), and Sana’a governorate (2). At least 7.6 million people are living in areas affected by acute watery diarrhoea (AWD) and cholera and a total of nine governorates have been assessed as high risk in terms of a cholera outbreak. Given the poor sanitation conditions of many of the most vulnerable, including nearly one million internally displaced persons (IDPs) living in host communities in the affected governorates, there is a very real possibility that the disease will be spreading much further and faster unless a wide-reaching response is mounted. Health partners estimate that without a comprehensive multi-sector response, the incidence of acute watery diarrhoea/cholera is likely to rise rapidly, with up to 76,000 additional cases across 15 governorates. This would include an estimated 15,200 cases requiring admission for cholera treatment, putting additional strains on a collapsing health system. A cholera outbreak in Yemen has put an even greater strain on the country’s already fractured health system. UNICEF is on the ground in the hardest hit areas chlorinating water sources, distributing hygiene kits and teaching families about prevention. “My son, who is already very weak, got loose motions two weeks ago. He has also been getting loose motions earlier as well,” she says, pausing to gather her breath. Her son Arafat looks on, discomfort clearly evident in his pale eyes. Across the hallway, another mother, Um Dhia, caresses her one-year-old. “My son suddenly started passing loose stool at four in the morning. Within no time, he became very pale, his eyes rolled up and I thought he was going to die. We rushed him to the hospital,” she says. “By god’s grace my son is recovering now. On the first day, I changed his nappies 20 times in a day. Today I have changed it only once so far,” the mother says, her eyes moist and her hands folded in gratitude. A cholera outbreak across Yemen is the last thing the conflict-ridden country needed, but it was also expected given the collapse of the health system. More than 600 health facilities are not functioning, and many of those that are functioning are either poorly staffed or are running on minimum operating capacity. Across town in the Sawan area of Sana’a, a group of young volunteers go from house to house distributing UNICEF’s hygiene kits and counselling families on how to prevent cholera infections. They are working with the Yemen Foundation for Development and Response (YFDR), a local NGO that is supporting UNICEF. The volunteers mark every house they visit to keep track of the people they have reached. To date, 1090 suspected #cholera cases have been reported in #Yemen, mainly in #Taiz (268), #Aden (258), #Lahj (151) and #Hudaydah (141). Meanwhile, there is growing evidence which shows that Saudi Arabia is deliberately targeting impoverished Yemen’s farms and agricultural industry. More and more academics share the opinion that the Saudis are trying to destroy Yemen's rural livelihood. They warn that more than half of the population of Yemen relies on agriculture, and the ongoing Saudi campaign is likely to prevent Yemeni farmers from returning to work for many months or years. Radio Sputnik discussed the issue with Dr Martha Mundy, an anthropologist and emeritus professor at the London School of Economics, who is currently working in Lebanon, but who worked in North Yemen from 1973 to 1977. Her book Domestic Government: Kinship, Community and Politics in North Yemen (1995) is a contemporary classic. Dr Mundy is now working on the political economy of food in Yemen. She told Radio Sputnik that even though it is the job of international organizations to work with the technical ministries in Sanaa to undertake a full damage assessment in the country, there is a specific unit funded by all the big players based in the World Bank. However they have not released any of their reports. Meanwhile the International Labor Organization (ILO) provided survey data of the labor force in three Yemeni provinces in the autumn of 2015: Sanaa, Aden and Hodeida, which shows that seven to eight months into the war the displacement affected mainly the rural population. Two thirds of those displaced came from rural areas and women accounted for 95 percent of those displaced. The report goes on to say that agriculture has been the sector most affected by the crisis with the loss of almost 50 percent of its workers. When asked if the Saudis have been deliberately targeting agriculture to destroy and eradicate the livelihood of the country or was it collateral damage, Dr Mundy responded that there are two answers to this question. "Before we get back to the bombing data one needs to bear in mind that the blockade that was imposed with very little real legal coverage from the UN Security Council resolution 2216 and which was basically run by the Saudis for almost one full year before the UN even got there, has cut off fuel supplies to agriculture and of course the food Yemen has been importing," she told Sputnik. The country has been importing a large proportion of its grain and oil for consumption, she specified. Thus the country already has an embargo, a blockade in place. "With regards to the bombing data, it depends on the area. Certainly the extraordinary level of strikes in Sadah province, in Hajjah province and to some extent in Hodeida and in Sanaa and Amran indicate that it is certainly not possible that this is all collateral damage," she said. The analysis of the bombing pattern shows that it was an absolutely deliberate strategy at least in the north of the country, the expert added. It is a deliberate strategy of the coalition, which goes far beyond just the Saudi involvement. There is a British, American and French involvement. The Emirates have also played a role. Dr Mundy also noted that there have been escalating attempts to bring down the Yemeni banking system and to force its Central Bank to be moved to the city of Aden. "There is a clear economic war there," she said, noting that the Saudis now have huge leverage on the country through the growing dependency of large parts of its population on food aid. The food is coming in, she said, but the main provider of this food is Saudi Arabia. And the province of Sadah is completely excluded from any of the incoming food. The Saudis do react to the media coverage of their economic war on Yemen, their airstrikes on the country's entire productive infrastructure and starvation. Even though it is very difficult to reach out with this data. However, social media has been important in bringing the truth to light, Dr Mundy finally said. Kommentar: Knüpft an einen Artikel von Robert Fisk im Independent an. Fisk argumentiert, Saudi Arabien würde im Krieg gegen die Houthis im Jemen gezielt Industrie- und Agrarinfrastruktur vernichten, um das Land künftig in enger Abhängigkeit halten zu können. The kingdom's continued membership is an affront to the council's mission of promoting and protecting human rights around the globe. This week, Saudi Arabia will be re-elected to the UN Human Right Council (HRC) for the fourth time, after another non-competitive election at the UN General Assembly (UNGA). While serving its third term on the council, Saudi Arabia blocked international inquiries into its human rights abuses, punished Saudi citizens who worked in collaboration with the HRC, andthreatenedto cut critical UN funding after being called out for violating children’s rights. Given the kingdom’s unrelenting record of repression, Saudi Arabia's continued council membership is an affront to the HRC'smissionof promoting and protecting "all human rights around the globe". It is no secret that Saudi Arabia’s values are at odds with the council's. Religious intolerance, gender inequality and a penchant for public executions are hardly the qualities that the UN had in mind for its council members. Worse, instead of incentivising the kingdom to institute reforms to curtail abuses and foster greater accountability, Saudi Arabia’s membership on the council appears to be having the opposite effect. Meanwhile, the country ignores visit requests from the HRC’s “special procedures” - independent human rights experts who undertake country visits. In addition to resisting human rights investigations by UN experts, Saudi Arabia has sought to prevent its citizens from communicating with the council and other international organisations. Under the country’scounter-terrorism law, contacting international organisations, such as the HRC, can be deemed a terrorist offence. While Saudi Arabia’s attempts to prevent both UN official and its own citizens from addressing human rights abuses in the kingdom should disqualify the country from a seat at the council table, its actions in Yemen over the past 19 months are an even greater affront to the HRC’s mission. Instead of working with the UN mechanisms to reform its military campaign and alleviate the resulting humanitarian crisis, Saudi Arabia is using its position on the council to cover its tracks and avoid responsibility. It has fought tooth and nail against international efforts to investigate the role of all combatants in Yemen’s devastation. The defeat of an international inquiry is just the most recent example of the ways in which Saudi Arabia has thwarted the council’s efforts to address the crisis in Yemen. Comment by Judith Brown: This makes my blood boil. How can the world reward a country that is destroying its neighbour? Comment by Hussam Al-Sanabani: Farce. UN council only listen to Saudi and Saudi hotels mercenaries.Yemenis on the ground are not represented in UN meetings or conferences. Comment by Judith Brown: With thanks to Marc Springer for sharing this. This is the most shocking film I have seen about Yemen. I screamed with pain and wept as I watched it. I defy anyone to look at this without their heart turning over and over. The film is calm, unemotional, just a factual look at the destruction of food to the extent that this committee is considering it genocide. I knew all of this before but seeing it in this format is terrible, terrible, terrible. Comment by Judith Brown: The right to food. The right to live. All being denied to Yemeni people. Among the prominent military leaders killed [at the Sanaa air raid at a funeral, Oct. 8] was thecommander in the Sirwahdistrict of Marib province in northeast Yemen. Marib serves as the headquarters for the coalition and Yemeni forces’ military operations in the north of the country. This may have helped prevent the coalition from taking over Sirwah, which hadseemed likelyOct. 5. Taking control of Sirwah would have been amilitary achievementfor the Saudi-led coalition with the aim of besieging Sanaa from the east. However, the coalition forces’ march toward Sanaa from that direction is no longer possible after the funeral attack. Yemeni forces backed by the Saudi-led coalition mpw have to go through theterritories between Sanaa and Marib of the Khawlan al-Tayyal tribe, which was not taking sides in the war because of split allegiances to the warring parties. However, following the funeral attack, the tribe would not allow the coalition forces through their lands, even if some of tribe's very influential members hold major commercialinterests in the Gulf. These developments come as part of the military escalation at theborder front, where the coalition forces are making progress in thedirection of Saadaafter taking over al-Bokaa area Oct. 21. Yemen's north-south links continue to fray after 18 months of war, and neither side looks capable of battlefield victory. The war pits a Saudi-backed government that controls most southern territories against pro-Iranian Shiite Houthi rebels who control the capital Sana’a in the north. The two regions were separate countries that only unified in 1990. A southern attempt to secede in 1994 was crushed by then-President Ali Abdullah Saleh, the main ally of the Houthis in the current conflict. Few experiences illustrate the country’s deepening fractures than traveling between the north and south. Having friends who can vouch for you makes it easier to pass security checkpoints into either territory. Taking a woman along on a trip can help because it means you’re less likely to be searched or questioned. Months after the conflict broke out in 2015, residents of Taiz, Yemen’s industrial hub and the main gateway to the south, had to use a boulder-strewn pass across mountains to take the 270-kilometer (168-mile) journey south to the coast after the roads to the city were blocked by the Houthis and allied forces to continue to impose a siege on the city. Comment: This is NO Saudi-Iranian proxy war. And the Hadi government hardly controls anything in the south, even not the largest part of Aden. Thanks toresearch by professors Jason Quinn and Madhav Joshi,we know that a successful ceasefire is usually preceded by a failure — even lots of failures. The two scholars, and their colleagues at the University of Notre Dame's Kroc Institute for International Peace Studies within the Keough School of Global Affairs, analyzed data from nearly four decades of shooting wars. They were looking for the patterns in what they call chains of ceasefire agreements, when one ceasefire is followed by another … and another. It turns out that ceasefire agreements fail at a rate of about 80 percent, which might be cause for discouragement. But not so fast. In both the Syrian and Yemeni conflicts, just identifying all of the warring groups is problematic. While each war pits a recognized government against combined rebel forces, the integrity of the governments are in debate, and the range of concerns among the rebel groups puts them at odds with one another. Getting warring parties into the same room is not likely to happen either, at least not now. But that’s part of the pattern, too. While we can’t know what Russia, in Syria, or Saudi Arabia in Yemen aimed to accomplish with the ceasefires they facilitated last week, there will be consequences from the pauses in the fighting. Comment by Judith Brown: A moving plea from USA to stop the war on Yemen. Please world, listen to her. Am Ende der Straße, die die Orte al-Hudaida und Hayis miteinander verbindet, führt ein Sandweg bis zu einer Häusergruppe. Auf dem Platz zwischen den Häusern stehen einige Bäume, ein Brunnen und ein riesiger Wassertank für 10.000 Liter Wasser. „Zweimal am Tag können die 120 Familien aus dem Dorf hier Wasser holen“, erklärt Ibrahim, Direktor der Schule und Mitglied des lokalen Rats, der für einen nachhaltigen Umgang mit den Wasserressourcen verantwortlich ist. Neben dem Wassertank, den Aktion gegen den Hunger errichtet hat, steht das alte Wasserbecken. „Es gab zu viele Löcher im alten Becken. Wir haben Wasser verloren. Wir mussten lange warten, bis alle genug Wasser hatten. Vor allem gab es viele Fälle von Malaria und Durchfall in unserem Dorf. Seitdem wir den neuen Tank haben, gibt es diese Krankheiten kaum noch und alle haben Zugang zu ausreichend Wasser“, berichtet Ibrahim. Die Schule, in der Ibrahim unterrichtet, ist noch in Betrieb. Doch viele andere Schulen wurden von den Huthis, einer der Bürgerkriegsparteien im Jemen, in Kasernen umgebaut. Aufgrund dessen wurden viele der Schulen von der Islamischen Koalition im Kampf gegen die Huthis bombardiert. WHO has sent IV fluids, diarrhoeal disease kits & oral rehydration solutions to Al-Jumhoori and Al-Mahabisha hospitals in #Hajjah, #Yemen. Leaving Yemen is now an unattainable dream for Abdulsalam Khaled, who cannot travel — despite being awarded a scholarship to pursue his education in India — because of a Saudi-led coalition blockade. Khaled is one of thousands of people inside and outside Yemen who have been blocked from entering or leaving the war-torn country. Sana’a International Airport was shut when the coalition resumed airstrikes on Aug. 9 around the city after the last round of peace talks in Kuwait collapsed. It reopened days later, but only for humanitarian flights, which have to notify the coalition in advance. Before Aug. 9, the sole operator still serving Sana’a — national carrier Yemenia — ran only a few scheduled commercial flights to Amman, Cairo and Nairobi. “There are thousands of cases — students, patients, passengers and many others cannot travel,” Sana’a airport chief Khaled al-Shayef said. Many others have also been stranded outside the country, unable to return home. Mazen al-Soufi, who directs air traffic at the facility, spoke of “huge damage” caused by the airport’s closure. “More than 20,000 people stuck outside Yemen want to come home,” he said. “Many people in critical medical condition die every day because of the siege of Sana’a International Airport,” he said. Soufi confirmed that there are “students who have lost their seats in universities” because of the blockade. Comment: Note the different headlines given to this article in Taiwan (“blockade”) and Malaysia (“control”). Taiwan relying on reality, Malaysia on Saudi propaganda (see cp15). People in Yemen are struggling to feed themselves every day, as a brutal war between Houthi rebels and Saudi-backed government forces drags on unabated. anew report from the UN's World Food Programsays the problem is getting worse and is affecting women and children the most. Yemen imports 90 percent of its food. A deep economic crisis caused by the war and a coalition blockade on imports has sent the price of food, fuel and other basics sky-high. Human Rights Watchsaidlast year the blockade "has had a severe impact on the situation and may amount to the war crime of starvation of civilians as a method of warfare." ACTED provides essential water trucking and cash for food to needy displaced families in Al Dhale’e governorate. Families in Al Dhale’e governorate in central Yemen are some of the most vulnerable, having had to flee conflict from neighboring areas. As they try to find a safe place to restart life, these displaced households struggle to buy food and water for their familiies, leaving them malnourished and vulnerable to sickness. ACTED, in cooperation with ECHO, is working with 3,000 households in Al Dhale’e governorate, providing provide clean, safe water as well as cash to help families afford nutritious food. So far, ACTED has installed 53 water tanks and distributed 2 jerry cans per family in preparation for three months of water trucking. In the process, ACTED also led trainings with each family on the importance of hygiene and nutrition, including a balanced diet, mother and infant feeding and proper feeding during pregnancy. As the conflict in Yemen continues unabated, the trends show a devastating toll on civilians. Since March 2015, the number of people moving within the country in search of safety and livelihood has steadily increased to a staggering 3.2 million. At a time of widespread and worsening food insecurity, food imports remain in short supply, significantly driving up the price of commodities. Health facility based numbers on people killed and injured are now higher than at any other time in 2016. These numbers are believed to be much higher, however, since many injured do not seek help in a health facility and since many that die never make it to a facility. Also, since over half of health facilities, in 16 out of 22 governorates, are partially or totally not working, reporting capacity is functioning at sub optimal levels. The trends also reveal that those engaged in the conflict are not meeting their basic responsibilities, under international law, to respect, protect, and meet basic needs of the civilian population. Through a consistent presence, humanitarian partners have been able to steadily increase their reach to people in need across Yemen. However, the response does not match the requirements, as less than half of the funding needed has been received. Yemen's government announced that nine people had died of cholera in second city Aden as the infectious disease spread across the war-torn country. Everyday is a struggle for survival in Yemen. TRT World's Donald Cameron brings the latest from war-torn country. More than 1,000 suspected cholera cases have been reported across war-torn Yemen, according to the World Health Organisation, which noted at least 3 deaths amid the escalating epidemic. In Yemen’s third largest city of Taiz, 268 cases have been reported, while Aden has seen 258 cases, 151 in Lahj and 141 in Hodeidah, the WHO said. The WHO said earlier that the scarcity of potable water has worsened the hygiene situation in Yemen, fuelling a marked increase in cases of severe diarrhoea, in particular among people displaced from their homes in the centre of the country. UNICEF said health professionals in Sanaa had also reported several cases, as had medics in the besieged Taiz. It said its team was working with doctors in Yemen to establish the cause of the outbreak and called on international donors to provide funding to work to improve the health situation there. Taiz sees urgent KSRelief medical aid as lifeline for city under siege KSRelief on Saturday distributed medical aid to Al-Rawdah, Al-Mothfar and Al-Ta’awun hospitals in the Yemeni province of Taiz, in coordination with the World Health Organization and a humanitarian relief coalition, supervised by the Higher Medical Committee in the province. The aid consisted of medicines, medical supplies, surgical equipment, as well as IV treatment, antibiotics and medicines to treat fungi and parasites. A medical management specialist from the coalition said the aid distribution is part of the urgent medical assistance program implemented in Taiz hospitals; it is an ongoing effort until all hospitals and health centers chosen by the Higher Medical Committee receive their share of medical supplies. Acting director of Al-Mothfar hospital praised KSRelief’s humanitarian gesture, which is part of the center’s urgent assistance program for hospitals in Taiz, launched last week. Comment by Judith Brown: Taiz is under seige but so is the rest of North Yemen, which is subject to a cruel embargo that us actually causing people to die. But it's always Taiz as if that is the only city starving - they are suffering a cruel ground war but the famine is worse in other parts of North Yemen. Comment: As Taiz is beleaguered by the Houthis, the whole North of Yemen is beleaguered and starved out by the Saudis – who by articles like this one make propaganda which should draw the attention off from their terrible role in Yemen. The Emirates Red Crescent, ERC, yesterday began operations of 5 new water wells in Al Mukala province, after the completion of all civil works and connection of the wells with pumps, as part of its efforts to provide clean water to citizens and support the infrastructure in the Hadramaut coastal region. The project is expected to benefit over 200,000 people, and is one of the ERC's vital projects to meet the growing water needs in the eastern regions of Al Mukalla at a total cost of YR217 million (US$855m). Comment by Judith Brown: Five new water wells but in Mukalla not where they desperately need water in the north and northwest. On Friday 28th October 2016, it is my 70th birthday. On that day, probably hundreds of Yemeni people, especially children, will die of starvation. This man made famine in Yemen is directly caused by a cruel embargo, which is stopping food from entering the west side of the country where most of the 25 million Yemenis live. The loading cranes at the port of Hodeida are unusable as they were bombed by hostile forces in 2015, and road and bridges that allow distribution of food have also been destroyed. Thousands of farms, warehouses including one run by Oxfam, grain silos, food factories, markets, water pumps, have been destroyed in a systematic manner over the last year. Also many lorries attempting to distribute food have also been bombed. Last week there was a 3 day truce in order to deliver humanitarian supplies – on the day before the truce began, the airports of Sanaa and Hodeida were yet again bombed, so that no aircraft carrying humanitarian supplies could land. Fishermen have been repeated bombed off the coast, making it far too dangerous for them to attempt to go to sea. Over 3.5 million people are displaced and living in makeshift tents caused by the aerial bombardment of their homes, aggravating problems caused by the lack of food and clean water. This has caused a famine, particularly severe in the area of the Tihama, which borders the Red Sea, but a large part of the western area of Yemen is suffering badly. This has been worsened by the decision to move Yemen Central Bank out from Sanaa, the capital, a strategic decision made by Hadi, whom the world describes erroneously as a democratically elected president of Yemen. Hadi was warned that moving the bank – that had been heroically paying salaries to all ‘sides’ in the conflict that was in itself delaying catastrophe in Yemen – would precipitate starvation of Yemeni people. Nonetheless Hadi moved the bank and salaries to those in the west of Yemen have now stopped. Bank notes that remain in circulation are tattered and becoming unusable. Horrific pictures of starving men, women and children are now circulating on the Internet. Almost certainly tens of thousands of small children, maybe hundreds of thousands, have already died. These deaths are not included in war statistics and indeed are not being collected. Cholera is now sweeping Yemen as the water supply is drying up and deteriorating, causing further deaths. All of this with little attention from the world’s media. It is made worse by the deterioration of the health services in Yemen caused by aerial bombardment and embargo. LaInformacion.com habla con una familia yemení, que vive en la capital, uno de las zonas más castigadas por los bombardeos saudíes desde hace 19 meses. President Saleh al-Sammad issued decree No. 39 for 2016 for amending the first article of the decree No. 16 for 2016 about organizing the implementation mechanism of granting general amnesty. Yemeni NGOs have held a press conference in Sana'a to demand action from the United Nations on the ongoing Saudi aggression. They say the world body's efforts have not been enough to end the killing of civilians and address the humanitarian crisis. Our correspondent Mohamed al-Attab has this report. Yemeni street artists are daubing the capital's walls with haunting images of war and starving children in an effort to highlight the impact conflict is having on the country's population. "We came up with this campaign because of the internal and external wars in Yemen, the economic crisis, all of these factors led to famine and poverty in Yemen," said participating artist, Thou Yazan Al Alawi. Gunmen loyal to Houthi armed group and former president Ali Abdullah Saleh have assaulted on Monday a sit-in protesting mothers against the detention of their sons in prisons of Houthi-Saleh alliance in Yemen’s capital Sana’a. Said Al-Masdaronline reporter. The protesting detainees’ mothers organized a sit-in before the office of UN commission in Sana’a which Special Envoy of the Secretary-General for Yemen Ismail Ould Cheikh Ahmed is visiting. The mothers demanded the imemediate release of their sons who have been detained by forces of Houthi-Saleh for almost two years in Sana’a. The gunmen dispersed the protesting mothers by force, carried out vitriolic attacks on them and threatened to beat them up. This attack came to prevent the protestors demanding UN to release those detained and abducted in prisons of Houthi-Saleh alliance. 100s of armed men surround Sheraton Sana'a, the fortified residence of UN staff and where @OSESGY is staying. 921 civilians have been detained by Houthi gunmen and forces loyal to former president Ali Abdullah Saleh since the eruption of conflict two years ago in Hajja province northwest Yemen. Said a report by local human rights NGO. The report released by Coalition of Human Rights and Humanitarian Organizations stated that 412 detainees have been subject to psychological and physical torture including beating with stalks and electric detonators. Most of the detainees are students and 81 cases of torture and abduction, one of the detainees have died under torture while another one got a hemiplegia. Added the report. Houthi gunmen and forces loyal to former president Ali Abdullah Saleh have confiscated a convoy of humanitarian relief assistance for 400 displaced families western Yemen’s Taiz city. Said a press release for local humanitarian CSO on Sunday. An for Development organization said that all mediation efforts with Houthi forces have fallen short to release the convoy which has been detained in a Houthi checkpoint in Taiz western entry point since three weeks. The convoy was boarded with relief baskets and supplies for 400 displaced families in Al-Masirakh district of Taiz province. Houthi gunmen and forces loyal to former president Ali Abdullah Saleh have abducted 38 civilians on Sunday in Al-Haqab village of Al-Dhalea province southern Yemen. Reported local sources. The sources said that a broad wave of abduction started last Friday by forces of Houthi-Saleh against civilians in the area most of whom were activists and community leaders. The forces stormed houses, looted properties and detained the people incarcerating them in prisons of Houthi armed group in Damat city. This wave which brought about wide resentment came on the heel of fierce resistance by the village residents to advancement of Houthi-Saleh force. Sources added. Yemen’s prime minister of the internationally recognized government has on Monday left for the Saudi capital Riyadh the exile in which the government has stayed more than a year. Sources said. The prime minister Ahmed Aubaid Bin Dagher left Jordanian capital for Riyadh in accompany of two female minsters in his cabinet while other minsters are still in the government-held city of Aden southern Yemen. Senior official said to Al-Masdaronline that the rest members of the cabinet are expected to leave the country in the next hours to Riyadh. Comment: That shows what the Hadi government really is “controlling” in Yemen: not even their capital city Aden. More idiocy : Riyadh-based #Yemen "president" Hadi orders stop to supply of cooking gas from Marib to Sanaa & all Houthi-controlled areas. Comment by Judith Brown: Now more pressure. There is little enough gas in Yemen and it is very expensive. People are chopping down trees to cook already. Now Hadi has ordered that cooking gas can't be delivered to Sanaa. Is he human this man or just a machine that plans how people can be slowly killed? Comment by me: One more sign that Hadi is leading war against the whole population, not just against army and fighters of Houthi / Saleh-held Yemen. The candidacies of Saudi Arabia and Russia for the United Nations Human Rights Council are severely compromised because of their widespread unlawful attacks on civilians in Yemen and Syria respectively. The annual election for seats on the 47-nation Human Right Council will be held in the General Assembly on October 28, 2016. Accepting Saudi Arabia and Russia’s re-election bids would be contrary to the basic standards for which the Human Rights Council was created 10 years ago, and risk undermining the credibility of the UN’s top human rights body and its ability to hold abusers accountable. UN member states should take this into account when considering how they will vote. UN member countries should put an end to closed slates, scrap vote-trading, and be clear that countries elected should expect their own human rights records to be subject to increased scrutiny during their council terms. In June 2016, Human Rights Watch and Amnesty International, joined by a broad coalition of nongovernmental organizations, called for suspending Saudi Arabia from the Human Rights Council due to the Saudi-led coalition’s numerous illegal attacks on civilians in Yemen. Der Uno-Sondergesandte für den Jemen hat Huthi-Rebellen in der Hauptstadt Sanaa einen Friedensplan vorgestellt, der den seit 19 Monaten andauernden Krieg in dem arabischen Land beenden soll. Ismail Ould Cheikh Ahmed sei nach eintägigem Aufenthalt am Dienstag wieder abgereist, verlautete aus Huthi-Kreisen. Nach deren Angaben sieht der Uno-Plan vor, dass der von den Huthis bekämpfte Präsident Abed Rabbo Mansur Hadi auf Befugnisse verzichtet und Milizen aus grösseren Städten abgezogen werden. The United Nations Special Envoy for Yemen, Ismail Ould Cheikh Ahmed concluded today a three day visit to Sana'a where he held meetings with several representatives of the General People’s Congress, Ansarallah, Yemeni activists and foreign diplomats. The Special Envoy presented the Houthi-General People’s Congress delegation with a written roadmap that addresses security and political arrangements. The delegation agreed to respond to the proposal in the coming days. The Special Envoy stressed that "all parties must cooperate fully and swiftly to support political alternatives to secure lasting peace guided by a conviction that violence is never a viable solution. The previous weeks and months confirmed that there are no winners in war and violence is never a viable solution." At the end of the visit, the Special Envoy emphasized the importance of reaching a comprehensive and peaceful resolution to the conflict, and urged the parties to agree to an extension of the Cessation of Hostilities. He noted the importance of allowing free and unhindered access for humanitarian supplies and personnel to all parts of Yemen. "Yemeni men and women have found themselves trapped in a deadly crossfire for too long and they are paying the price for the indiscriminate violence in the country. This must stop," he said. The Special Envoy visited the site of the funeral hall attack that took place three weeks ago in Sana'a. He met representatives of the families of the victims. He noted the urgent need to open up Yemeni airspace to commercial aircraft and to evacuate the injured for treatment. According to a statement by Ahmed's office, the UN envoy presented "a written roadmap that addresses security and political arrangements." The statement said that Houthis and their allies said they will give their response in the coming days. He gave no details on the road map. 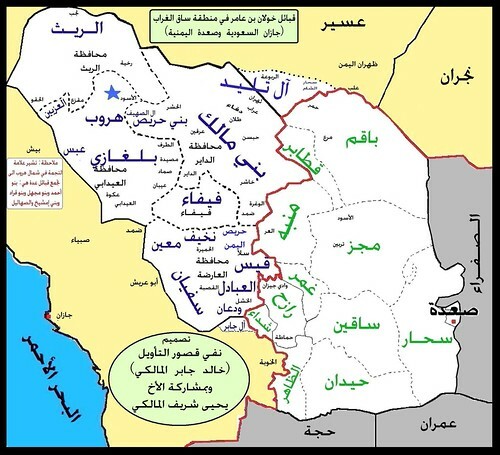 According to the Houthi-affiliated politician, the peace plan also includes transferring the powers of the internationally-recognized president to a new prime minister and a vice president, in addition to the formation of a national unity government, while easing out Houthis from cities under their control. The deal also suggests the formation of a team of international observers to supervise the militias' withdrawal. It proposes a one to two-year-transitional period paving the way for presidential elections. The politician spoke on condition of anonymity because he was not authorized to speak publicly on the issue. The UN envoy for Yemen on Tuesday presented a proposal to the Huthi rebels and their allies on advancing prospects for peace as protests marred the final day of his talks in Sanaa. Ismail Ould Cheikh Ahmed said the rebels would give their response to the written roadmap on political and security arrangements in the coming days. Hundreds of people demonstrated outside the envoy's hotel in the rebel-held capital, accusing him of siding with the Saudi-led coalition backing the Yemeni government and demanding that he leave the country. "All parties must cooperate fully and swiftly to support political alternatives to secure lasting peace guided by a conviction that violence is never a viable solution," Ould Cheikh Ahmed said in a statement. "The previous weeks and months confirmed that there are no winners in war and violence is never a viable solution." “Another copy of the plan had been given to the Yemeni government’s delegation at its temporary residence in the Saudi capital Riyadh,” Ould Cheikh said at a news conference at Sanaa International Airport following his two-day visit. He said the plan included comprehensive security and political solutions for both sides. A source close to the government delegation toldAnadolu Agencythat the proposal included a scheme for a Houthi withdrawal from cities and the formation of a unity government. “The plan addressed other issues such as a referendum on the constitution and holding presidential elections,” the source said on condition of anonymity due to restrictions on talking to the media. Comment: Insisting in UN resolution 2216 and unilateral withdrawal of the Houthis simply will not work. Why should they? Either all armed forces remove or none. Comments below: Did you also note there is a war or you miss that too. Pathetic Hypocrisy. Specify mention Sana'a airport, not " open up Yemen airspace " this could be Aden or Mukala airports. Disaster is in Sana'a. Again specify " injured " and say such as funeral hall injuries. This will not kill you. It will show us you are trustworthy. Comments below: I don't understand! Why it took you so long to visit the site of this horrific massacre?! Why you keep silent about Saudi massacres? and what you going to do about it the saudis jet is throwing bombs everywhere in yemen as soon is you left sanaa airport? Did anyone else told you, How useless you are? Comments below: U just support the strong party, who is the main reasons to suffering Yemen today!!! The State of Kuwait is ready to continue efforts to achieve an agreement among the Yemeni parties, to put an end to the conflict in the country, said Kuwait’s Deputy Foreign Minister Khaled Al-Jarallah yesterday. This came in Al-Jarallah’s reply to a reporter’s question on Kuwait’s vision towards the current situation in Yemen, as he emerged from the opening session of a meeting held by a panel on preventing the funding of the so-called Islamic State (IS) — under umbrella of the Global Coalition Against the IS. Saudi Arabia, the most powerful political and economic player in the Middle East and the de-facto leader of the oil producers cartel OPEC, is having a tough couple of years thanks to the crash in the price of oil. The state is almost completely reliant on oil for government revenues, and is already running a huge budget deficit. In the past year, it has been forced to draw heavily down on its foreign exchange reserves to provide extra capital, putting the Saudi government in an even weaker position. The financial elite in the West played a direct role in the spread of Wahhabism. In 1976 Saudi Prince Mohammed al-Faisal established the Faisal Islamic Bank of Egypt (FIBE). Several of founding members were leading members of the Muslim Brotherhood, including the “Blind Sheikh,” Sheikh Omar Abdul-Rahman, implicated and in the first World Trade Center bombing in February 1993. The Muslim Brotherhood became an MI6 and later a CIA asset during the covert war and assassination plot against the nationalist pan-Arab leader in Egypt, Gamal Abdel Nasser. FIBE and the rise of Islamic banking following the dramatic increase in oil prices in 1973 are closely associated with neoliberal financial policies and the philosophy of the of the Chicago School of Economics and the monetary prescriptions of the International Monetary Fund. FIBE worked closely with the infamous Bank of Credit and Commerce International (BCCI), a renegade bank used to fund covert terrorist activity and launder money, sell illegal weapons, and facilitate the international drug trade. After BCCI crashed and burned in 1991, investigators discovered it held $589 million in “unrecorded deposits,” $245 million of which were placed with FIBE. “BCCI consisted of a complex alliance of intelligence agencies, multinational corporations, weapons dealers, drug traffickers, terrorists, global bankers and high-ranking government officials,” writesDavid DeGraw. The Muslim Brotherhood also established the al-Taqwa Bank in 1988. It funded radical Wahabbi groups, including al-Qaeda. The bank was associated with the late Said Ramadan, one of the Muslim Brotherhood’s top leaders. Ramadan was the son-in-law of Hassan al-Banna, the founder of the Muslim Brotherhood. He also helped the Saudi monarchy establish the Muslim World League in 1962. The organization would later fund al-Qaeda and numerous other terror groups. Declassified Swiss documents from the 1960s reveal Ramadan was an asset of the CIA and British intelligence. The United States is reluctant to criticize its Wahhabi partner and seriously endanger the neocon-spawned “Arc of Crisis” carefully designed to divide and balkanize the Arab and Muslin Middle east. Saudi Deputy Minister of Economy and Planning Mohammad al-Tuwaijri has clarified that using the term “bankruptcy” while discussing Saudi Arabia’s economic situation was a misjudgment on his part. The deputy minister said last week that Saudi Arabia would have faced bankruptcy in three to four years if it had not imposed austerity policies. Comment: He certainly had preferred to keep his head on his shoulders. The kingdom ran a record highbudget deficit of $98 billion last year with an estimated $87 billion deficit forecasted for this year. Low oil prices have hit Riyadh’s state coffers so hard that it made itfirst international bond sale last week, worth $17.5 billion, to bring in much needed cash. Angenommen, die Meinungsforscher liegen richtig und Hillary Clinton wird am 8. November zur Präsidentin gewählt: Für die Außenpolitik der USA bedeutet es eine markante Akzentverschiebung. Nicht, dass die Weltmacht zurückkehren würde zur burschikosen Hybris eines George W. Bush. Kommentar: Die Wortwahl ist sehr befremdlich: „robustere US-Außenpolitik“, was nichts anderes bedeuten kann, als Krieg nicht mehr nur „versteckt“ über Stellvertreter, sondern für alle sichtbar (wieder Angriffskriege (?) ohne UNO-Mandat) zu führen. Is US reconsidering its support for Saudi Arabia in Yemen war? Comment: Just this I don’t believe. This just will be minor disharmonies, Saudi Arabia will stay US’ main ally in the region, thus all US support finally will stay as it is. Especially, if Hillary Clinton “the hawk” will win the election. gaining knowledge about the intricacies would require both the skill to derive information from a variety of conflicting sources and the tenacity to wade your way through them in the first place. [Turning to the media,] we are reliant solely upon what we are told. Take for example the fact that in Yemen on October 8, a 225kg US-made bomb was dropped on a funeral procession by the US-sponsored Saudi-led coalition. Unfortunately, this statement was as good as nullified as of October 12 when the US directly entered the Yemen war by launching ‘retaliatory’ cruise missiles at sites controlled by the rebel movement. The Government of the UAE requested a possible sale to include participation in military exercises, aerial refueling, airlift and ferry support, training aids/devices/munitions, technical and logistics support services, and other related elements of logistical and program support. The estimated cost is $75 million. This proposed sale contributes to the foreign policy and national security of the United States by helping to improve the security of a major regional ally which has been, and continues to be, an important force for political stability and economic progress in the Middle East. This proposed sale contributes to the foreign policy and national security of the United States by helping to improve the ability of the UAE to employ its fighter aircraft in a multi-country coalition environment, such as Red Flag and Green Flag exercises. Participating in major exercises has enhanced the UAE's continued and consistent role in support of Coalition Operations. The UAE is a steadfast coalition partner in the fight against radical Islamic forces such as ISIL and Al Qaeda (AQAP) in the Arabian Peninsula. Comment: Carefully read the jusitifications and wherefor the whole matter will be used: “helping to improve the ability of the UAE to employ its fighter aircraft in a multi-country coalition environment”– that simply is: Bombing Yemen. The head of US military operations in the Middle East wrapped up an unannounced visit to Saudi Arabia Tuesday, amid mounting friction over the kingdom's bombing campaign in neighbouring Yemen. An international outcry over the civilian death toll from the air war against pro-Iran rebels launched by a Saudi-led coalition in March last year prompted the White House to announce a review of US intelligence and logistics support earlier this month. But Washington has trod a wary line, not wanting to strain already delicate relations with Riyadh, a key Middle East ally and partner in the US-led coalition battling the Islamic State group in Syria. US Central Command chief General Joseph Votel held talks on Monday with top officials including the defence minister, Deputy Crown Prince Mohammed bin Salman. Votel told reporters travelling with him that he wanted to hear Saudi concerns. "The first thing we are trying to do is listen to what they are telling us. It's important to maintain confidence in the relationship," he said. The official Saudi Press Agency reported that Prince Mohammed and Votel discussed defence cooperation and joint efforts in "combatting terrorism". Comment: This clearly shows: US and Saudi Arabia will stay close allies, there will be no cut in US support and arms sales. The Yemeni people are paying the price for Riyadh’s determination to reinstate an unpopular government friendly to the royal family. This commitment to rule or ruin apparently comes from deputy Crown Prince Mohammed bin Salman, known more for his ambition than judgment. No longer can the Obama administration pretend that fighting the Kingdom of Saudi Arabia’s war has no consequences. Washington has turned the U.S. into a foreign target, yet again. Still, the administration played the victim card, claiming that it destroyed Houthi radar stations in “self-defense.” However, the U.S. had provided targeting intelligence, refueled airplanes, trained pilots, and supplied munitions to Riyadh since the latter, backed by several other Gulf states, attacked Yemen in March 2015. The Pentagon even deployed ships to prevent Iranian vessels from approaching Yemen’s coast. Regarding your editorial "Aleppo's agony" (Oct. 13), why hasn't there been equal concern for the suffering in Yemen caused by U.S.-backed Saudi airstrikes? Why is there no concern about the bombings of civilians at weddings and funerals and of hospitals and schools by Saudi warplanes in Yemen using U.S. weapons and mid-air refueling? Why is your editorial supporting giving weapons, training and supplies to "moderate terrorists " in Syria? Why no outcry about U.S. bombing of civilians, hospitals, schools in the Syrian city of Manbij? Imagine if the Islamic Republic of Iran, complaining that its regional rival Saudi Arabia was meddling in a neighbor’s politics for sectarian reasons, led a coalition to invade that country. As a result, after 18 months, at least 10,000 civilians had been killed or wounded, more than half the country’s people needed food aid and three million people had been displaced. Sanctions would be leveled. Pundits would write agonized essays comparing the country to Nazi Germany. Sabers would be rattled. War would likely follow. However, when these roles are reversed and the Saudis and their Gulf allies are the aggressors, it’s a different story. Why the double standard? Because the US is allied to the Saudi royals and the US was evicted from Iran. When a friend commits a war crime, excuses are made. But the Saudi coalition is not the only party in Yemen facing scrutiny for potential war crimes. The funeral attack has refocused attention on the U.S.’ deepening involvement in the Riyadh-led war. In addition to providing intelligence assistance and refueling support, Washington has rushed billions of dollars worth in smart bombs and spare parts to help the Saudi air force continue its bombing campaign. The U.S. and other Western powers have not heeded previous international criticism of Saudi actions in Yemen. Today, the war is creating more extremism, allowing militants affiliated with Islamic State and al-Qaida in the Arabian Peninsula — the most dangerous of al-Qaida’s offshoots — to establish new safe havens. While Saudi leaders criticize Obama for “abandoning” his traditional allies in the Middle East, and shifting U.S. foreign policy toward Iran, his administration has sold more weapons to the kingdom than any previous one. Iraq, Afghanistan, Syria, Libya, Somalia, Mali, Egypt and Yemen: Either through direct fighting, "advising," and/or the arming of various participants, we have spread our martial wings over the region in a manner all too consistent with the fever dreams held close by our neoconservative cabal for the last quarter of a century. Remember theProject for a New American Century? They never left; they just got new jobs. Saudi Arabia is pleased. It has been bombing Yemen for a while now using American weapons and intelligence, killing thousands, including more than 100 mourners at a funeral this month. This is passing strange, since the Saudi Arabian government is a boon ally of ISIS (also known as Daesh), the Sunni fighting force which congealed into a lethal actor in Iraq and Syria after George W. Bush's war "ended." The US is currently fighting ISIS in the city of Mosul, and in Syria. Who are our friends over there, really? Who are our enemies? It depends on the time of day, who you ask, and where you are on the map. It also depends, of course, on who's cutting us checks for the weapons. Mosul is a perfect example of the chaos we have unleashed in the region. According to Reuters, "The Pentagon this week played down any new role for US forces in Iraq's battle to retake Mosul and said they would be behind the forward line of troops. But as the United States has increased its presence in Iraq this year to help in the Mosul fight, officials have acknowledged Americans will be 'closer to the action.'" Translation: There will be more, because there are always more. You can count on it. One wonders how many people in the US know about any of this. This is only the Cliff's Notes version of the reality that is the Middle East today. Make no mistake about it: All of this -- every last little bit of it -- was caused by war. We seeded the ground with Desert Storm, exacerbated the trauma with years of missile strikes and debilitating sanctions, and put an exclamation point on the whole affair with the invasion and occupation in 2003. When we toppled the Sunni government of Iraq and disbanded the Sunni Ba'athist Army, we gave birth to ISIS. All of this was caused by war, and the only solution we are being offered is more war. This grim alternative is underscored by the fact that either a blatantly bigoted fearmonger or an avowed war hawk is set to sit in the Oval Office come January. Die britischen Liberaldemokraten behaupten, dass London Piloten der saudi-arabischen Luftwaffe ausgebildet hat – trotz der Vorwürfe gegen das Königreich, im Jemen Kriegsverbrechen begangen zu haben, schreibt die britische Zeitung „The Independent“. Der für auswärtige Angelegenheiten zuständige Vertreter der Liberaldemokratischen Partei, Tom Brake, forderte das Verteidigungsministerium auf, die Ausbildung der saudi-arabischen Militärpiloten unverzüglich einzustellen und den Waffenexport an Riad strenger zu kontrollieren. Nach „The Independent“-Angaben räumte Verteidigungsminister Michael Fallon auf Brakes Nachfrage ein, dass saudische Militärs tatsächlich ausgebildet worden seien. „Im Rahmen unserer andauernden Kooperation mit Saudi-Arabien im Verteidigungsbereich leistete Großbritannien der königlichen Luftwaffe Saudi-Arabiens sowohl in Großbritannien als auch in Saudi-Arabien Ausbildungshilfe“, betonte er. Dabei sei unter anderem das Orten von Zielen geübt worden. Fallon beteuerte jedoch, London hätte Riad keine Empfehlungen in Bezug auf den Einsatz im Jemen gegeben. „Es ist eine Schande, dass die britische Regierung nicht nur saudische Piloten aufrüstet, sondern auch trainiert. Für den skrupellosen Bombenangriff gegen unschuldige Zivilisten durch Saudi-Arabien im Jemen, der eine klare Verletzung des Völkerrechts war, gibt es jetzt dokumentarische Beweise“, sagte Brake. „Die Regierung sollte aufhören, sich an dieser tödlichen Kampagne zu beteiligen. The UK is still training the Saudi Air Force despite growing evidence of the Saudi-led coalition’s crimes against civilians in Yemen, Defence Secretary Michael Fallon admitted, replying to an MP’s question. The statement outraged the opposition. The revelation of the broader UK role in the controversial bombing campaign run by Saudi-led coalition in Yemen since March 2015, caused a sharp reaction from the UK opposition, with the Liberal Democrats’ foreign affairs spokesman Tom Brake (MP for Carshalton and Wallington), urging the government to“end its complicity in the murderous campaign”in the country torn by the civil war between Houthi Shiite rebels and Saudi-backed Sunni government of the ousted president Abd Rabbu Mansour Hadi. "It is shameful that the UK government is not only arming Saudi pilots, it is training them as well. The indiscriminate bombing of innocent civilians by Saudi Arabia in Yemen, in clear breach of international humanitarian law, is now well documented,”The Independent cited Brake as saying. On October 13, Fallon listed Paveway among other precision-guided weapons that have been supplied by the UK and used by coalition forces in Yemen, whileresponding to a question by Brake. However, he refused to specify in what manner the weapons were applied. “The location and timing of weapons used in Yemen is a matter for the Saudi-led coalition to comment on,”he wrote the day before. Waffenexporte aus Deutschland sind im vergangenen halben Jahr wieder gestiegen - unter anderem in Konfliktregionen wie den Nahen Osten. Die Bundesregierung beteuert allerdings, dass sie besonders strikte Regeln zum Schutz der Menschenrechte beachte. Die Opposition kritisierte insbesondere Ausfuhren in Länder wie Saudi-Arabien, denen schwere Menschenrechtsverletzungen vorgeworfen werden und in andere Spannungsregionen. "Diese Bundesregierung schreibt ihre verheerende Bilanz der Verantwortungslosigkeit fort und genehmigt enthemmt Waffen in alle Welt", teilte die sicherheitspolitische Sprecherin der Grünen-Bundestagsfraktion, Agnieszka Brugger, mit. Die Rüstungsexportpolitik sei deutlich restriktiver gestaltet worden als in den vergangenen Legislaturperioden, versichert die Regierung. Auch die rechtlichen Grundlagen seien verschärft worden. Die Bundesregierung listet in ihrem Bericht konkrete Punkte auf, die ihre positive Einschätzung belegen sollen. Kommentar: LOL. Waffen zum Einsatz im Jemenkrieg zu liefern ist wohl kaum besonders restriktiv zu nennen. Comment: That’s just for intimidating the Bahraini population. #UAE cyber security chief (below) denies allegation that recruitment policy "like s/thing out of a bad Bond movie"
Die Ausfuhr von Munition für Kleinwaffen hat sich im ersten Halbjahr 2016 verzehnfacht. Das geht aus dem Rüstungsexportbericht hervor. Vor allem die Türkei bekam von der Bundesregierung zahlreiche Lieferungen bewilligt. Der Bericht soll heute im Kabinett beraten werden . Auffällig sind auch Verschiebungen in der Liste der wichtigsten Bestimmungsländer. So rückte etwa die Türkei seit Beginn der Flüchtlingskrise von Platz 25 auf Rang 8 vor. Kommentar: Auch Hubschrauber verkauft Deutschland an die Saudis, wie dem aktuellen Rüstungsexportbericht zu entnehmen sein wird. Schön, die können sie auch im Jemen auch gut gebrauchen. Unser Dank geht an den SPD-Chef. German weapons dealers have seen their exports top €4 billion in the first six months of this year alone. While small weapon sales fell, exports of small arms ammunition reached record highs. Germany exported a total of €4.029 billion in weapons and armaments in the first half of 2016: an increase of half a billion compared to the same period last year. According to the German government’s military equipment report, exports of ammunition for small weapons have multiplied by about ten times. This year, it has exported €283.3 million, compared with just €27 million in 2015. Saudi Arabia, one of Berlin’s main geo-strategic partners in the Middle East, remains on the list of its main buyers, occupying 3rd place. Exports to the Wahhabi kingdom grew significantly to €484 million: an increase of two-and-a-half times the volume of last year. Yemen’s prime minister Ahmed Aubaid Bin Dagher has publicly ordered his government on Tuesday to pay salaries of all public sector employees who have not been paid for the second month. The prime minister of internationally recognized government said that the payment should be in accordance with available cash currencies as Yemen’s is running short of cash liquidation. Sheba state news agency reported. Government of Yemen’s president Abdu Rabu Mansoor Hadi is facing an increasing public pressure due to delay of paying salaries as the president has ordered relocation of Yemen Central Bank two months ago. President’s Hadi resolution of relocating the bank came as an urgent necessary intervention to prevent further pillage and use of the bank’s money to support war by Houthi armed group and forces of former president Saleh. Announced the government two months ago. The prime minster pointed out that this option of using foreign currencies to pay wages is an extraordinarily solution if the banknotes get further delay. He insisted the importance of controlling all financial venues from Yemeni crossings and resources. Houthi gunmen and forces loyal to former president Ali Abdullah Saleh, defacto coup authorities in Yemen’s capital Sana’a have failed for the second month to pay salaries for public sector employees who are living the worst live conditions ever. Comment: A pro-Hadi source, blaming the Houthis for effects of Hadi’s disastrous maneuvers trying to relocate the Central Bank to Aden. – And it was exactly Hadi’s government which several month ago had blocked the efforts of the Sanaa-based central Bank to have new banknotes printed. Comment: From the internationally recognised government in exile. Question: North and South alike? #AlQaeda In The Arabian Peninsula (#AQAP) Video Statistical Report Shows 290 Attacks In 1 Year(Oct 14,015-Oct 1,016). There is, however, one theatre of conflict in the region where the US can still take action now in order to avert a calamity such as Syria. That is Yemen. If left as is, Yemen has the potential to become another Syria, and a likely prospect incomplete state disintegration, increased sectarianism, and in response, hardened extremism. The conflict has already resulted in 10,000 dead, including 4,000 civilians. The United Nations estimates that 80 per cent of the Yemeni population is in need of humanitarian assistance. In the city of Taiz, 200,000 people are besieged by the Houthi alliance with humanitarian aid cut-off, and 37 of the city’s 40 hospitals have been forced to close due to bombardment. Taiz is Yemen’s Aleppo. Unless stopped, Yemen faces the prospect of a downward spiral into complete chaos. Under such circumstances, the only plausible alternative is that the US increases its involvement in the Yemen conflict with the clear stated objective of bringing about a political solution. More concrete US leadership is needed. An increased US role should include the expansion of its involvement in the command and control operation of the Saudi-led coalition to enable effective targeting and, as much as possible, prevent civilian casualties. The US should further be ready to respond forcefully to Al Houthi provocations such as it did recently by destroying radar sites in response to the missile attacks on its ships. Further action to degrade Al Houthi missile capabilities both to protect international shipping and the Saudi-Yemeni border might be needed. Combined with a vigorous diplomatic effort, such increased US involvement is not primarily meant to save Saudi Arabia from the unsustainable position the kingdom currently finds itself in but will enable a political process that all parties to the conflict are currently either unwilling or incapable of implementing. The Yemen conflict must be brought to an end before a second Syria scenario emerges. Comment: This really is odd propaganda, this time originating from a Western think tank. The author as so often just adopts the US version of the US vessels attack; he willingly changes cause and consequence when he states: “Saudi Arabia has national interest issues at stake including its territorial integrity being constantly threatened by missile strikes and across-the-border incursions. Will such strikes stop if the kingdom is forced to withdraw?”: Houthi missile attacks at Saudi territory just began 10 weeks AFTER the Saudis started their aerial attacks; thus however this Saudi interference could have been a response to these Houthi attacks? This simply does not fit, if the author is not accustomed to read a calendar from backwards. – And, hold on: This author really asks for more MILITARY US engagement in Yemen. Grotesque. We have seen what American interventions (direct and not) have done to the world. – Much more should be said, time is lacking. Is the U.S. Navy a Sitting Duck? Why asymmetric warfare on the high seas is so tricky for great powers. Comment: A rather ugly document of US Gunboat diplomacy propaganda, of course also playing the anti-Iranian tune. Comment: An article which takes for granted that Houthis launched missiles on American ships in the Red Sea and, consequently, describes how important is Bab al Mandab in the world's economy and the waters off Yemen. The Saudi-led coalition denied Tuesday it had imposed a "blockade" on Yemen, saying instead that it was controlling access to the country to prevent pro-Iran rebels from obtaining arms. "No, there is no blockade," coalition spokesman Major General Ahmed Assiri told AFP. "There is control based on international law ... Control is different from blockade, which means that nobody can enter or leave" the country, he said. Assiri also spoke of "restriction" and "controlled freedom of movement." "If a boat leaves from Djibouti, before reaching Hodeida (port in western Yemen), our forces board the vessel to ensure the cargo is legal and complies with Resolution 2216," adopted by the U.N. Security Council in April 2015 and prohibiting the delivery of arms to the rebels in Yemen, he said. Saying that Yemen has been under blockade since March 2015 "gives the wrong impression," Assiri said. Ships carrying food and medical aid as well as people and goods have reached "all ports, including those controlled by the Houthis" such as Hodeida, he said. But he acknowledged that only "aircraft from humanitarian organisations and the United Nations" can land or take off from rebel-controlled capital Sanaa. "They are the only aircraft that do not undergo inspection," he said. Asked why commercial aircraft from national carrier Yemenia can no longer operate in Sanaa, stranding thousands of civilians, Assiri said this was to ensure passenger safety and that the airline was not used by the rebels to transfer arms. He said that planes can use the airport in second city Aden which pro-government forces recaptured with the help of the coalition in July 2015. If the road between Sanaa and Aden is too risky for civilian use, "it's because of the Houthis," he said. Comment: there effectively is a blockade. Even in the best case – Asiri suggesting here – “control” means delay, and delay simply means now food. What Asiri is trying here, is a very quirky game of wording. Taking the food from someone’s plate also might be called “food rearrangement”. massive explosion rocks #Yemen's capital now. Huge one. #Saudi airstrikes resumed hours after #UN envoy left. Explosions are back in Sana'a capital. The first attack on Sana'a just happened. It is definitely Nahddain in the Presidential palace. A number of citizens were killed and others wounded in a series of air strikes by US-backed Saudi aggression warplanes on several governorates overnight, a military official told Saba on Tuesday. Saudi-led aggression coalition warplanes launched several strikes on Saada province and Asir region overnight, a security official told Saba on Tuesday. Two strikes targeted al-Malahidh market in al-Dhaher district and other two strike targeted Shada district in Saada. Further five raids hit al-Buqa crossing point and other strike targeted al-Zamah area in Bakim district, as well as a raid bombed a residential quarter in al-sheikh area of Monabah district, the official said. US-backed Saudi aggression warplanes waged three strikes on Usailan and Baihan districts of Shabwa province overnight, an official told Saba on Tuesday. #Saudi-led coalition launched 4 airstrikes destroying the sole water project in Alsaleef port town serving 18,000 people. 7 fighters from forces of Houthi armed group and forces loyal to former president Ali Abdullah Saleh have been killed on Tuesday in a car bomb hit their vehicle in Rada’a district of Yemen’s Al-Baidha province. A source from popular resistance told Al-Masdaronline. The source said fighters from anti-Houthi popular resistance planted the bomb in a car and targeted a vehicle loaded with Houthi gunmen in their own way to military sites in Al-Qariasha district on Tuesday. A number of Saudi soldiers were killed and three military vehicles were bombed in unique operation carried out by the army and popular forces in al- Kers military sites of Jaizn region on Tuesday, a military official told Saba. The official said that the operation resulted in the killing of dozens of Saudi troops and wounded scores of others, spreading a panic among the enemies. The army and popular forces bombed US-backed Saudi aggression-paid mercenaries` gathering in Thubab district of Taiz province, a military official told Saba on Tuesday. A number of mercenaries were killed and others injured when the army and popular forces foiled the mercenaries` infiltration attempt in Marib province, a military official told Saba on Tuesday. In a statement, Col. Al-Masradi said on Monday that two militia hideouts were identified on the border and were destroyed, adding that the fight to prevent the rebels from crossing the border is documented in video and audio recording. 2 civilians have been killed and 2 others injured in a landmine planted by Houthi gunmen on Saturday in Hethran western Yemen’s Taiz city. A military source told Al-Masdaronline. The source said that a landmine blew up an ambulance in Manea village of Hethran western the city. A technical military team has been working on demining tens of landmines in different areas in the province, though, it is still weak efforts. The source added. Film: West of Alab access inside Asir another Saudi Abrams tank destroyed by Yemeni fighters.